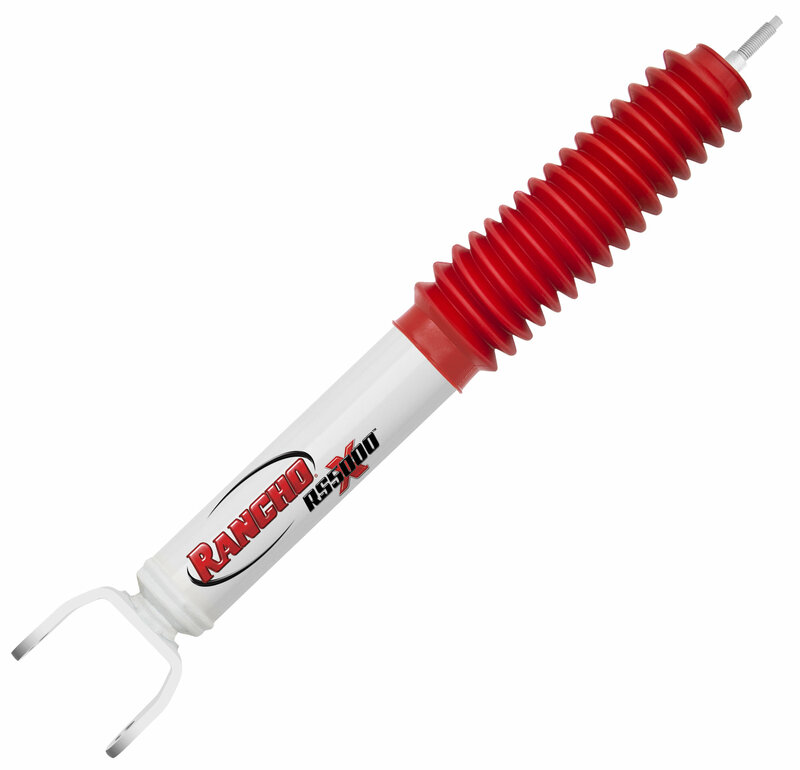 Easily upgrade the performance of your Jeep Grand Cherokee with Rancho RS5000X Rear Shocks. This bolt in rear shock Features Dynamic Rebound Spring Technology (DRS). DRS uses a unique internal spring system that is specifically designed to improve overall control under any driving conditions. The enlarged 2-1/4” twin tube shock body, along with low friction self-lubricating seals make this shock able to handle off road obstacles while maintain a comfortable on road feel. The included red boot attaches easily to the body of the shock for prolonged use and performance.